We are ready for our field trip! We found a trip that relates to what we’ve been exploring inside and outside of the classroom. 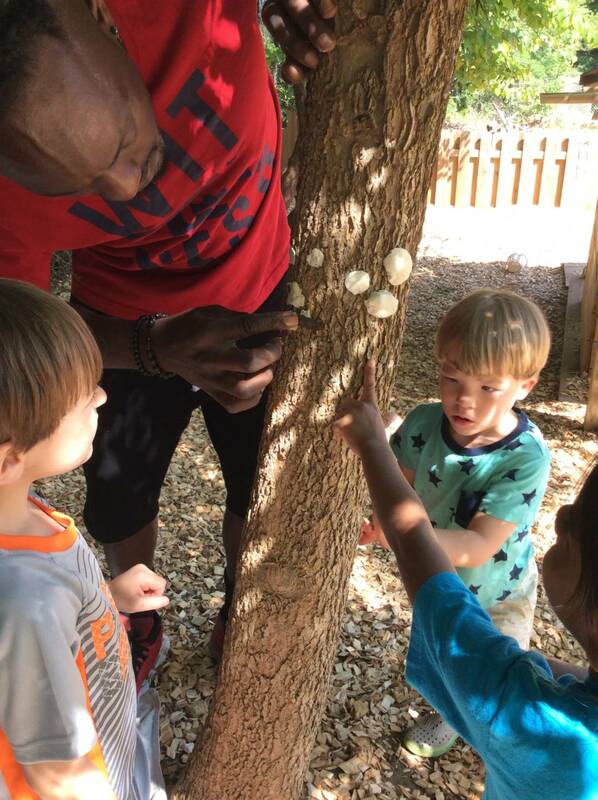 Fernbank’s WildWoods is a new outdoor classroom in the woods behind Fernbank Museum. It includes elevated walkways and tree pods, nature gallery, and wildlife sanctuary. If you’d like to learn more about it, follow this link: http://www.fernbankmuseum.org/explore/permanent-exhibitions/wildwoods/. We are looking for volunteers to drive and chaperone this trip. Right now, we are looking at May 16th or 17th. If you’re interested in helping out, either shoot us an email or let us know during pick-up/drop-off! On May 11th at 6 pm, we will host our end-of-the-year museum night. We will be showcasing our artwork for our families and revealing our nature tree. 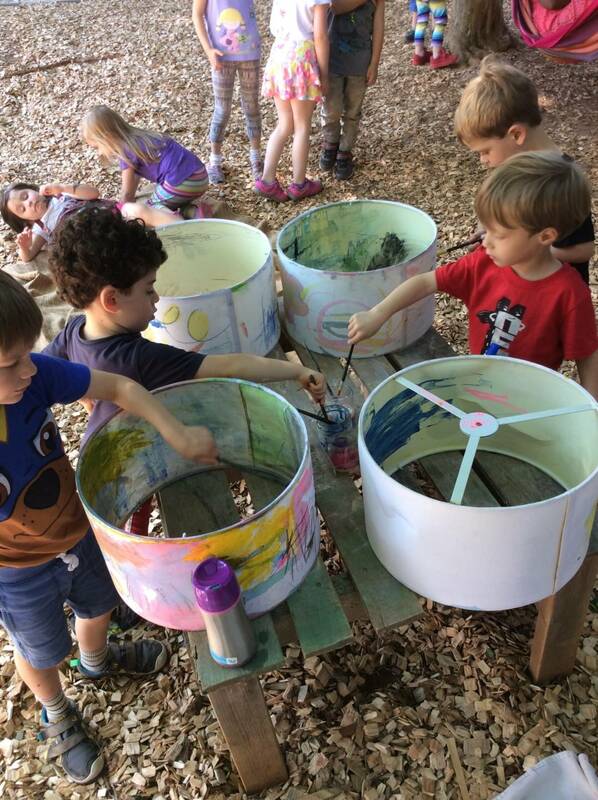 In addition to our artwork, we will bring out our stage to the fairy garden and perform an outdoor concert. As a class, we will be making snacks for the night to prepare. 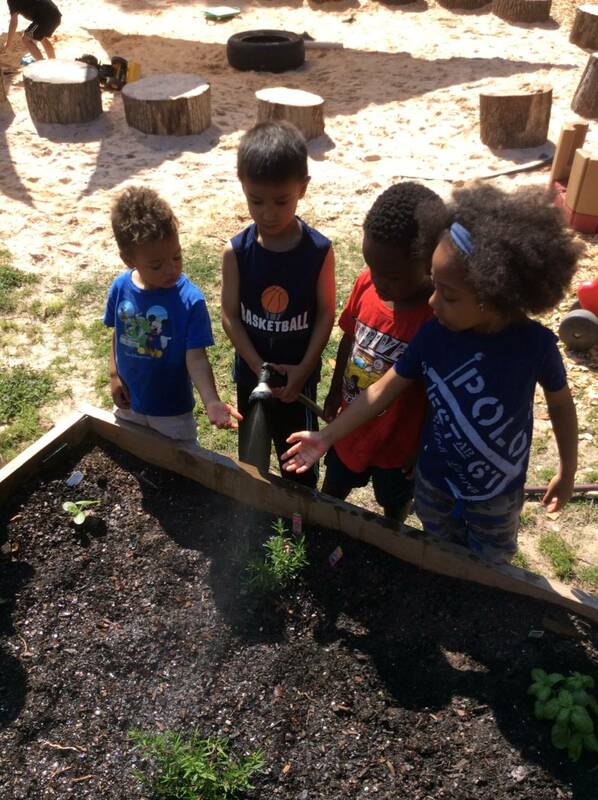 Early this week, we got to plant our new veggies and herbs given to us by parents at the Volunteer Work Day last weekend. We were so excited Holden’s parents brought us some tomato plants, and we also planted new rosemary, sage, peppers, eggplant, and cucumber. 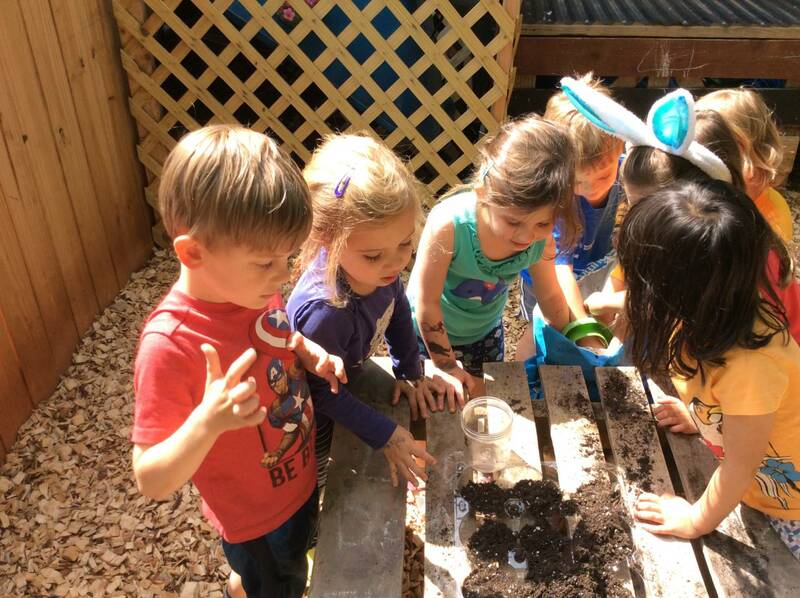 While we planted seedlings, we noticed the roots and learned how they work to hold the plants in place and give them nutrients. 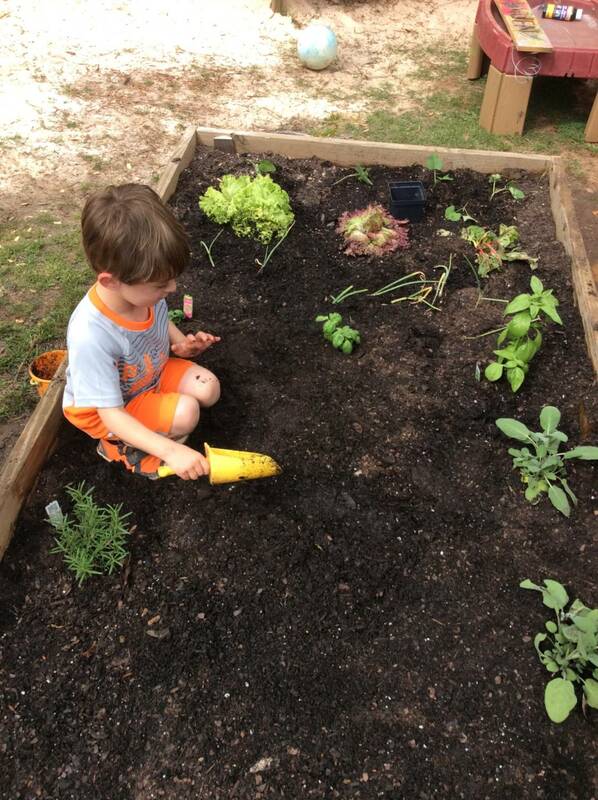 Jack R digging new holes for our herbs. Planning out where we can place our tomatoes and pepper plants so that they have enough space to grow. Planting cucumber and sunflower seeds that will grow outside our classroom window. 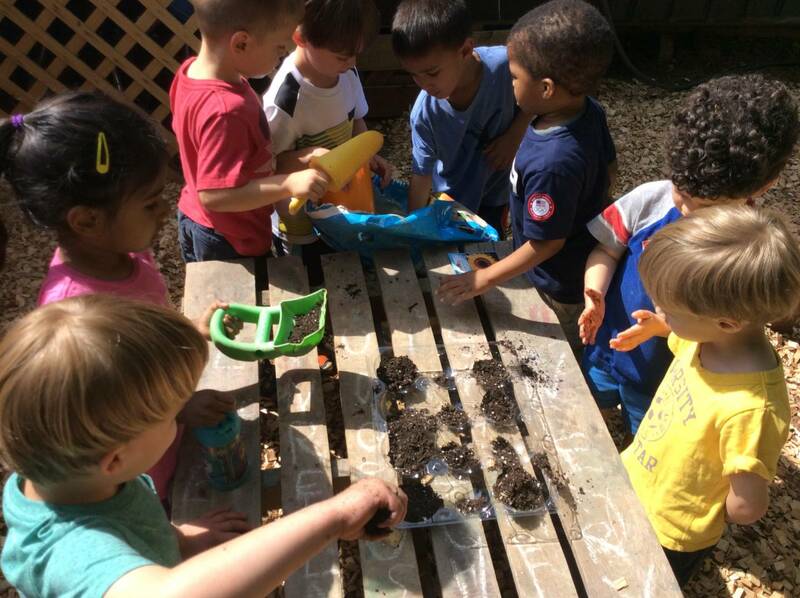 David, London, Siena, Jake, and Lila making sure we have enough soil for our seeds to grow. 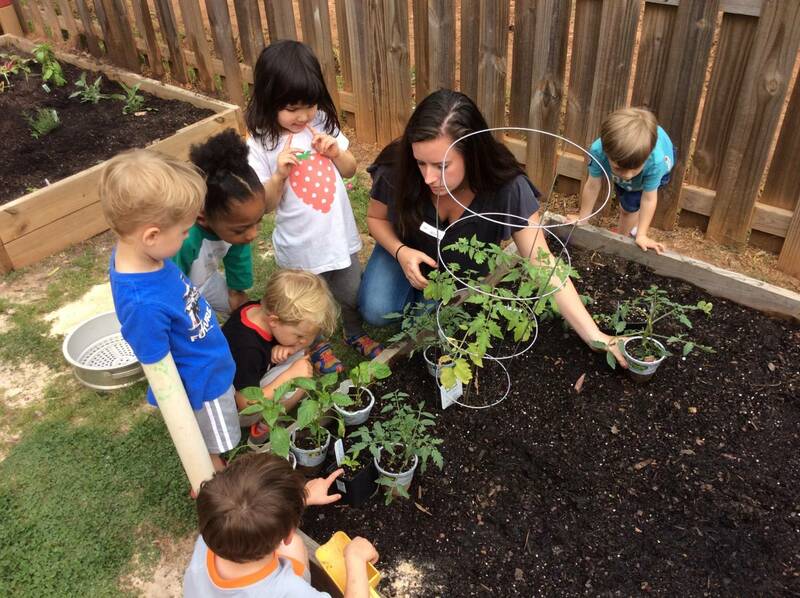 Reed and Logan watering our herbs and showing some of our friends from the Twos class our garden. They have been very curious – it is becoming a whole school project! This week we have been designing lampshades to hang in our fairy garden. We have all worked together to make them beautiful, and we plan to hang them and put in lights before our Lantern Party on May 11th! 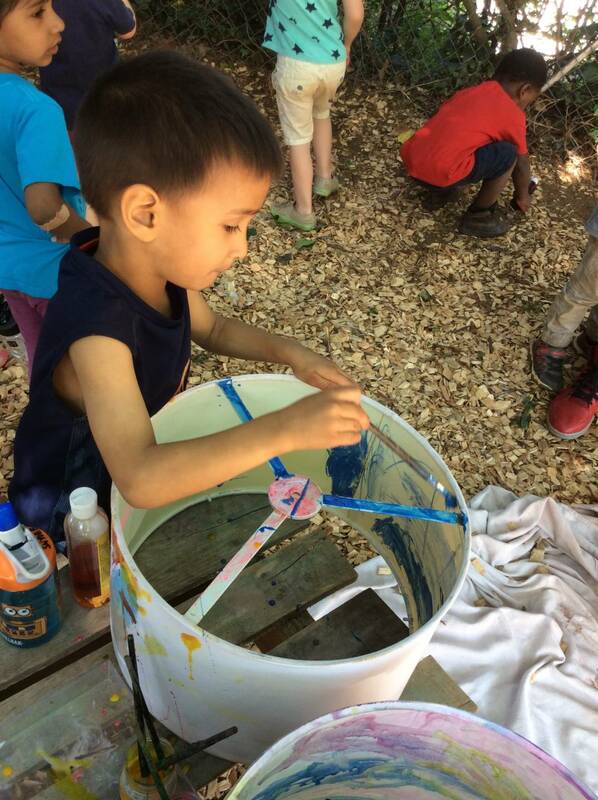 On Friday, we had an outdoor classroom day with lots of projects to work on while enjoying the weather! 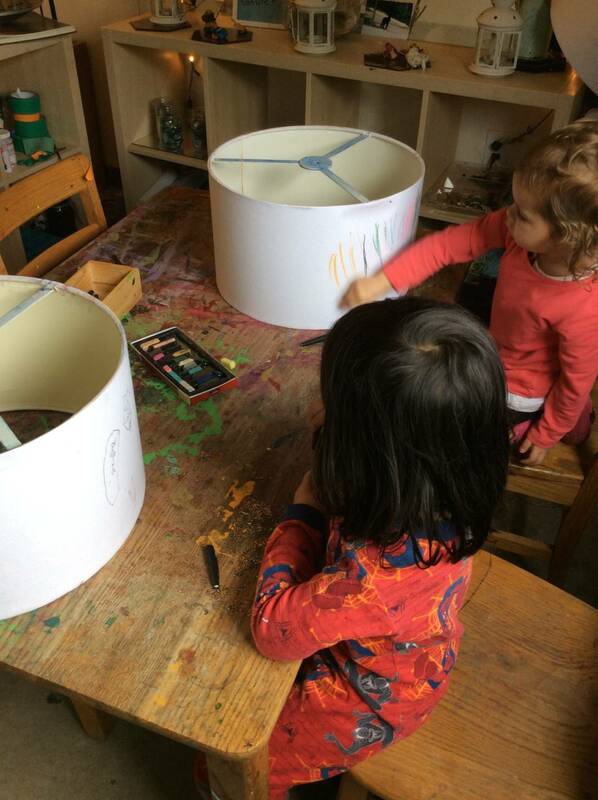 Maddie and Lila starting off our lampshades with designs for us to paint and add color to. Alex, Jake, Felix, and David working on our lampshades during our outdoor classroom day. We used watercolor and glue to add color and leaves from outside to our designs. Reed has worked so hard on designing our lampshades all week and is very proud of his work! 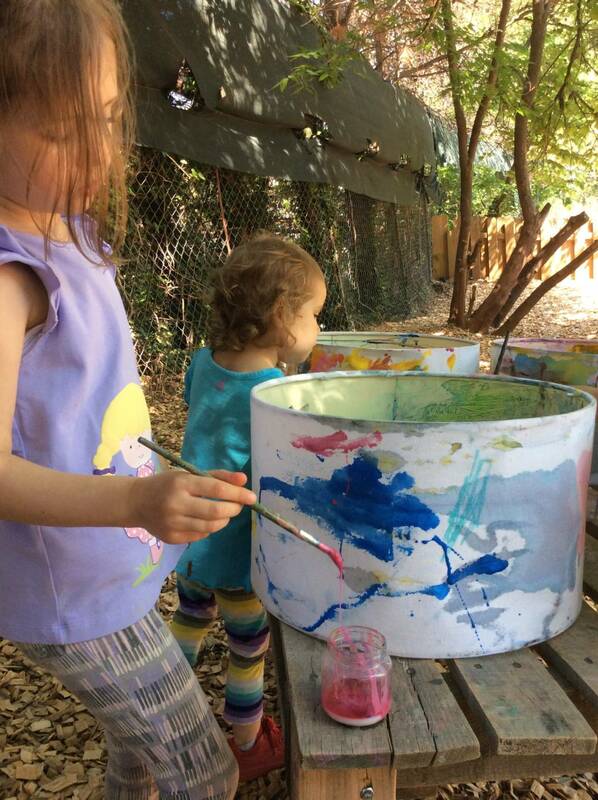 Kiki and Maddie painting butterflies on our lampshades. 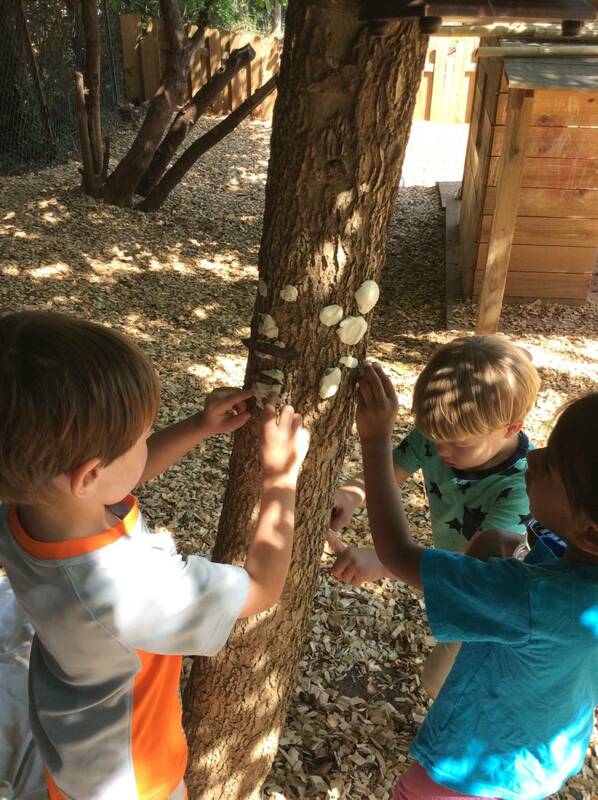 During our outdoor classroom, we made faces out of clay to decorate our trees. 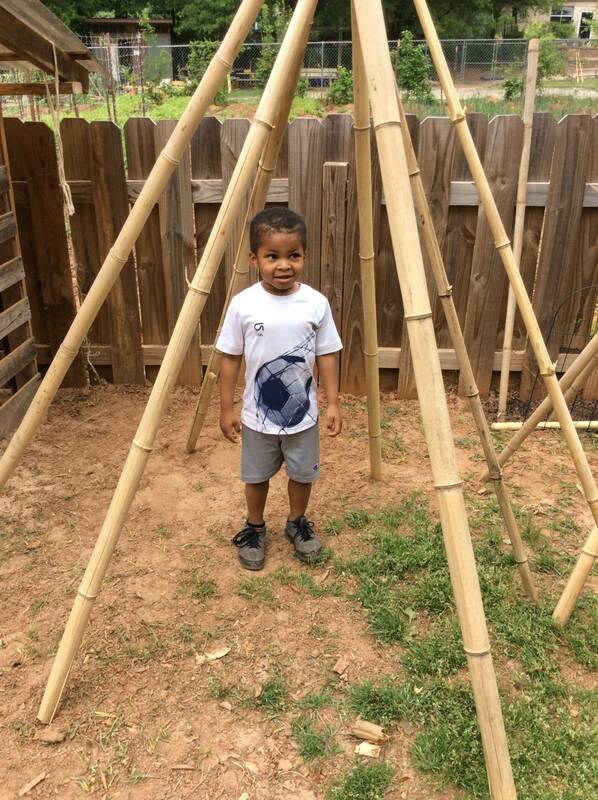 Jack B’s dad brought us a ton of bamboo sticks to build with this week. 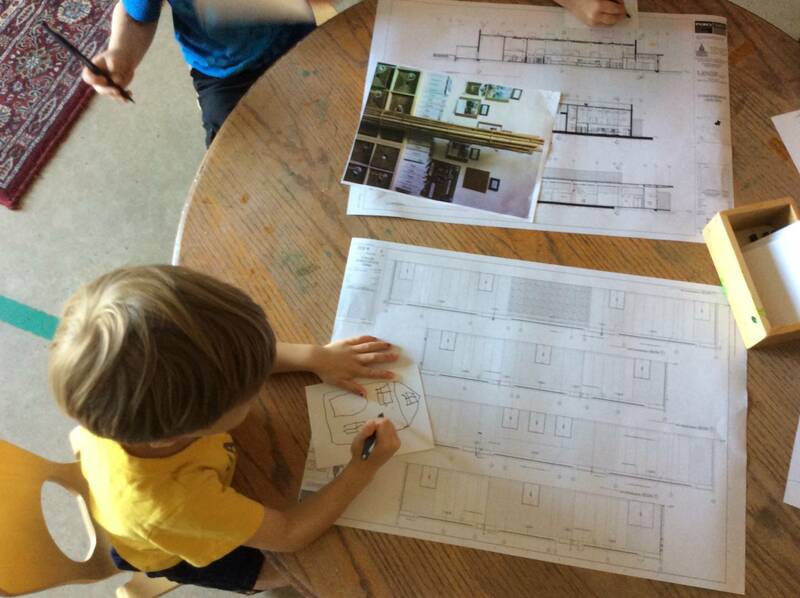 We used David’s parents’ blueprints as an example to make our own plans for what we wanted to build. 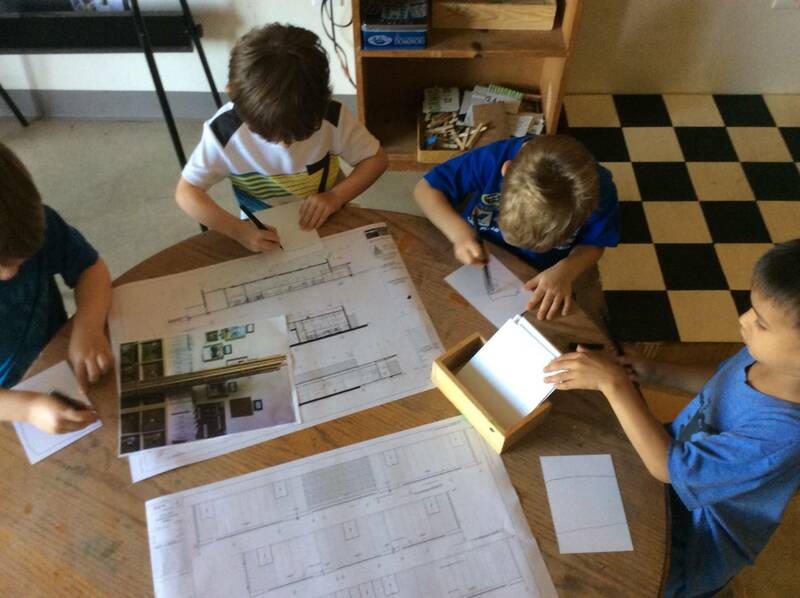 Jack B, Jack R, Jake, and Reed exploring the blueprints and making designs. 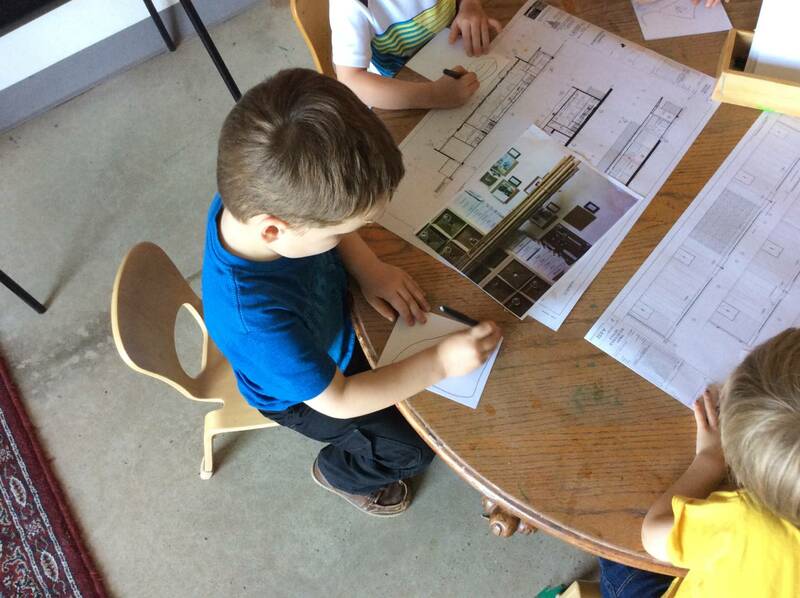 Alexander designing a house with many windows. 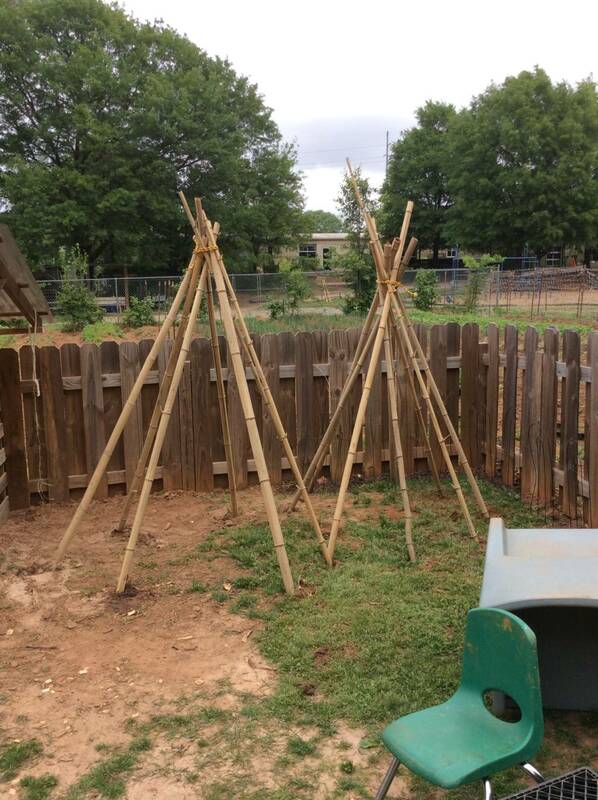 Jack B designed a teepee, and it was time to get to work! 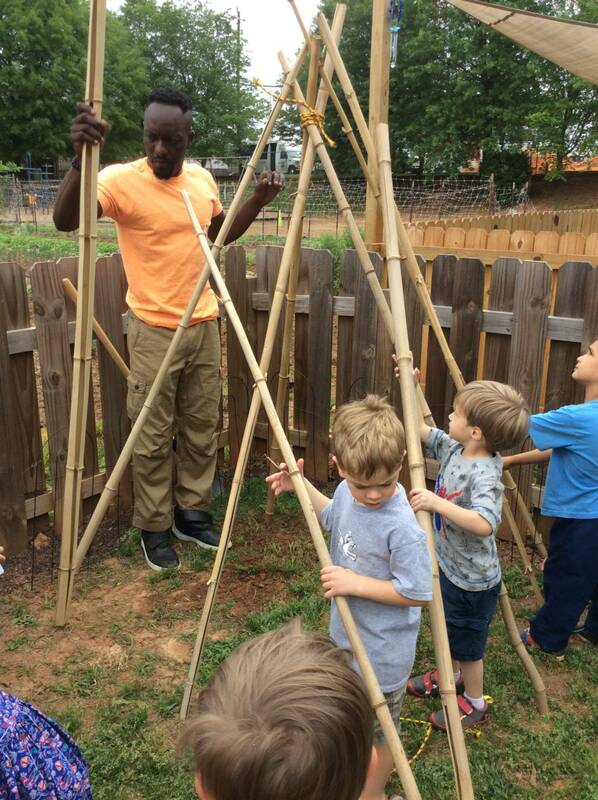 Reed, Alex, and Jake helping Mr. Jermaine get the bamboo sticks into place. Dominic was so excited about his new house to play in! 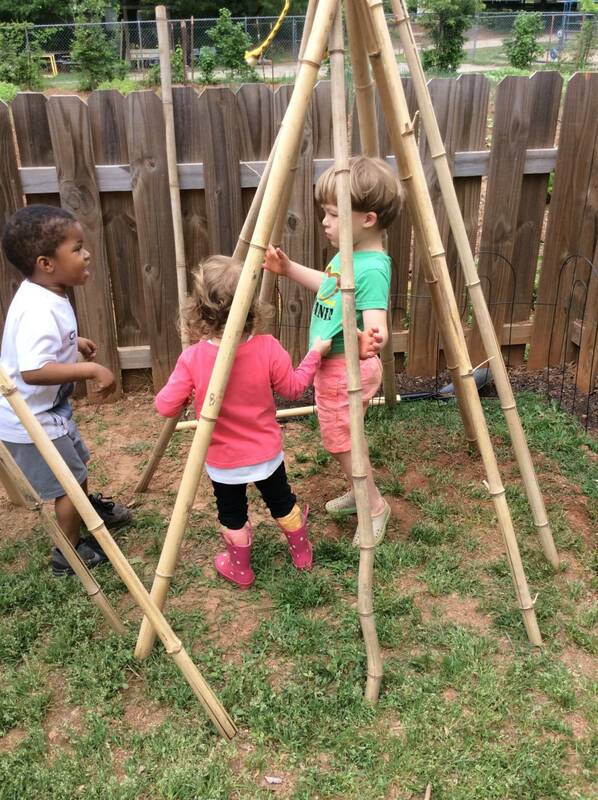 Dominic, Donovan, and Maddie going in and out of our two teepees.